Not long ago , driving from Logan to Moab, I was admiring the dramatic and austere landscape features from the highway. To the north were the vertical escarpments of the Book Cliffs—gray slopes and cliffs that extend all the way from Price, Utah, to Grand Junction, Colorado. Gazing at them from the highway, I wondered : Are they plateaus? mesas? buttes? Any self-respecting Utahn should know the difference between these terms. But even with a master’s degree in geography, the concepts had become fuzzy in my mind with the passage of time. When I got back home, I turned to Home Ground, a collection of American landscape definitions edited by Barry Lopez. Here you’ll read that a plateau is an extensive area of nearly level land that rises abruptly above a surrounding landscape on at least one side. In this sense, the Tavaputs is a classic Utah plateau and the Book Cliffs form its south-facing escarpment. 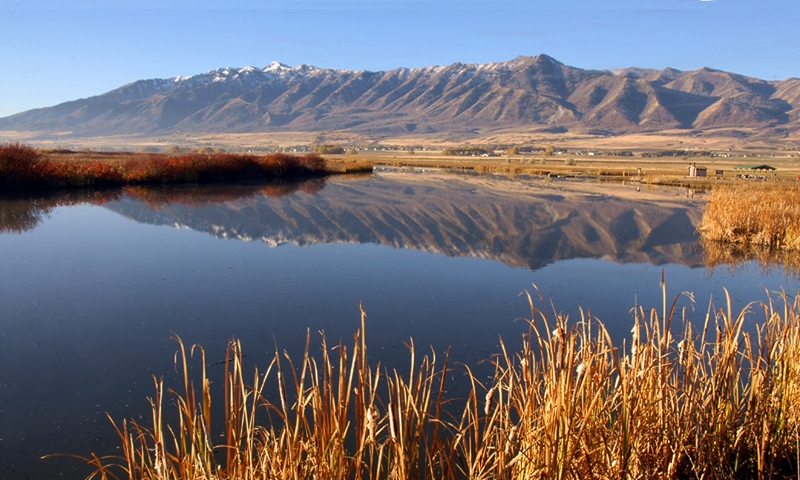 The Wasatch Plateau –home of the headwaters of the San Rafael and Fremont Rivers –is another classic plateau. Plateaus are sometimes called tablelands. This can be confusing, because plateaus aren’t necessarily elevated on all four sides and they are too big to look like tables. 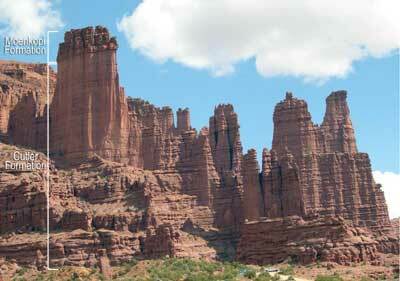 But mesas do look like tables and the word mesa means “table” in Spanish. A mesa is a flat-topped mountain or rock mass, usually capped with a layer of weather-resistant rock. In general, a mesa is smaller than a plateau, but the size difference between them is not defined in any absolute terms. At least everyone seems to agree that a mesa is always wider than it is tall. A butte, on the other hand, is always taller than it is wide. At one point in its development, the butte was probably part of a mesa. Then, over time, the connecting rock eroded away. I’ve often heard buttes referred to as a mesa’s child, or orphan. As a child, the butte’s parent mesa still exists nearby ; erosion has removed an expanse of rock leaving two structures instead of one. When the butte is an orphan, the surrounding rock has been completely removed, leaving a solitary outpost of resistant geologic history. Eventually, even with a resistant cap, a butte will be weathered down to a landform that is narrower than it is tall. Then it becomes a spire. Synonyms for a spire include tower, monolith or monument. You’ll often find that a particular butte is called Such and Such Mesa, and a mesa may be called Such and Such Butte or Plateau. This is because local names given by early explorers and settlers stuck whether or not they were consistent with any accepted definition. Thus, in the cliff-rimmed Professor Valley northwest of Moab, Dome Plateau is really a mesa and Convent Mesa is really a butte. And Grand Mesa, to the east of Grand Junction, is a whole lot larger than Beckwith Plateau near Green River, UT. 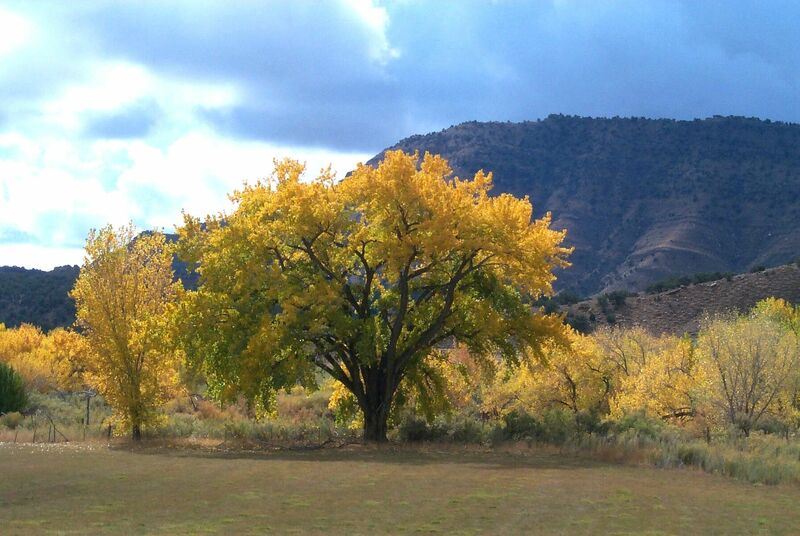 For pictures of Utah plateaus, buttes and mesas, check out our web page: www.wildaboututah.org. 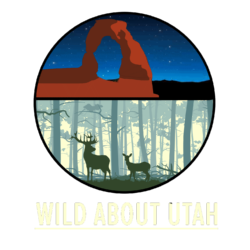 Thanks to the Sorrel River Ranch Resort and Spa for supporting the development of this Wild About Utah topic. The Ranch offers deluxe lodging and services on a scenic bend of the Colorado River, 20 minutes from Moab in the spectacular Professor Valley. And to Dr. Jack Schmidt in the Watershed Sciences Dept. at Utah State University.